Ezekyle Abaddon and his warlords strive to bind the newborn Black Legion together under threat of destruction. 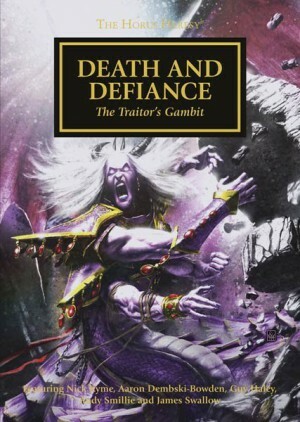 Now Khayon, as Abaddon’s most-trusted assassin, is tasked with ending the threat of Thagus Daravek, the self-proclaimed Lord of Hosts — a rival to the Ezekyle’s final fate. Fighting the vile whispers of the Dark Gods within his mind, Abaddon turns a fevered gaze back to the Imperium, where his destiny awaits. Yet the Emperor’s Champion and his Black Templars stand guard at the gates of Hell, and Sigismund has waited centuries to face Abaddon in battle. Two new Chaos Marine short stories. The Horus Heresy is over. The traitorous Warmaster is dead, his allies defeated, and the Sons of Horus are a dying Legion, fled now to the furthest reaches of the galaxy… and beyond. First Captain Ezekyle Abaddon, always among the most devoted and bellicose of his brethren, is now set adrift – who will rise to claim the title of Warmaster? Who will lead them in their long war for vengeance? And will that hallowed champion of the Ruinous Powers be able to reunite the old XVIth before they embrace extinction? In the underhive depths of Rigo V, the Sorcerers Ramon and Phaelius of the Thousand Sons seek proscribed knowledge. They are hunted, these witches, by the Rune Priest Thorskir who has tracked them across the length and breadth of the galaxy. At last after an arduous search, Thorskir has found where his prey will be and means to end them. But the plans of those allied to the Great Architect of Fate are not so easy to unbind and a secret lurks beneath Rigo V, one that has been long in the devising, a twist of fate and a plan so foul it is worthy of Tzeentch itself. This is an interesting story. I’ve always liked the Thousand Sons Legion, and Fatespinner has everything one could want from them: daemons, sorcery, a great twist. Wraight’s writing continues to get better, and this is perhaps one of his best short stories. I would certainly be interested in reading more stories (short or novel-length) featuring Ramon and Phaelius. 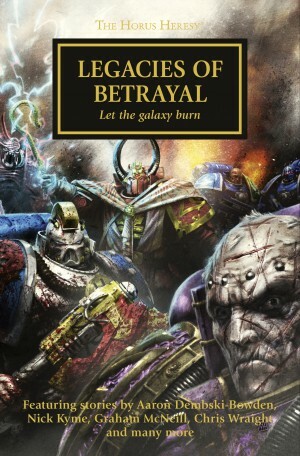 An excellent, highly recommended story — all fans of WH40k fiction should read it, and it’s a must for fans of Tzeentch and the Thousand Sons. Only from out of great conflict can true heroes arise. With the galaxy aflame and war on an unimaginable scale tearing the Imperium apart, champions of light and darkness venture onto countless fields of battle in service to their masters. They ask not for remembrance or reward – simply to meet their destiny head-on, and only by embracing that destiny will they come to learn what the unseen future may yet hold for them.